7 Best FREE VPN Services in 2019 - No Credit Card Required! If you want to secure your internet connection and prevent unauthorized third parties from analyzing your traffic, a virtual private network (VPN) is an easy choice. But what if you’re on a tight budget and can’t afford yet another monthly subscription? Well, you’re in luck because we’ve created a list of the top 7 best free VPN services available in 2019. Are Free VPN Services Trustworthy? It’s often said that the best things in life are free, but the saying certainly doesn’t hold true when it comes to online services, whose free versions are often supported with ads or are severely limited when it comes to their functionality. Because free online services hardly ever live up to their paid counterparts, many people shy away from them and don’t consider them to be trustworthy. Free VPN services are in an especially tough spot because they sound almost too good to be true. In reality, there are many excellent free VPN services that we wouldn’t hesitate to recommend to anyone who wants to access the internet anonymously but is on a tight budget. Just keep in mind that paid VPN services have become very affordable, especially if you pay for multiple years of service upfront. 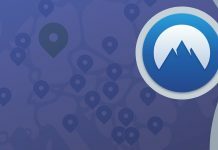 For example, NordVPN, a Panama-based provider of a personal virtual private network service, costs as little as $2.99 per month, which is a steal considering that it allows its customers to connect up to six devices at the same time, doesn’t collect any logs, and has over 5,100 servers in 62 countries. Of course, there are also free VPN services that you should avoid for a variety of different reasons. To help you protect your private web traffic from snooping, interference, and censorship without paying a single dollar, we’ve put together a list of the top 7 best free VPN services available in 2019. The people over at TunnelBear believe that VPNs aren’t just for geeks. We live in a day and age of large-scale internet surveillance, targeted cyber attacks, and internet censorship, and everyone should be able to enjoy the benefits of a private connection. TunnelBear gives all users 500 MB of free data every month, and it doesn’t ask for anything in return. The service doesn’t log any activity of its customers, and it can automatically connect you to the location with the lowest ping thanks to its Auto Tunnel functionality. TunnelBear gives you the option to upgrade to either TunnelBear Giant for $9.99 per month or TunnelBear Grizzly for $49.99 for 12 months. What if you could unblock geo-restricted content, stop tracking, and browse privately without paying anything for the privilege? Well, with Windscribe, you can. Windscribe encrypts your browsing activity, blocks ads, and unblocks entertainment content for free, and it’s available for all your devices, including Windows, Mac, and Linux computers as well as iOS and Android smartphones and tablets. Confirm your email address and get 10GB/month of data, unlimited connections and access to over 10 countries. As amazing as the free version of Windscribe is, the Pro version, which costs $4.08 per month with Windscribe’s yearly plan, is even better, offering much more server locations and unlimited data. With 650 million users around the world, Hotspot Shield is one of the most popular free VPN services. It offers a polished desktop and mobile client that makes it very easy to establish a secure connection and obtain a new IP address, enabling access to social networks, sports, audio and video streaming, news, dating, gaming, and more. The Free Mode of Hotspot Shield gives you access to US servers only, and you have exactly 500 MB of bandwidth per day. The good news is that Hotspot Shield Premium plans start at just $3.49 if you pay for three years of service up front, and you can pay with PayPal, credit or debit card, and nearly 100 other payment methods. ProtonVPN is an excellent free VPN service from the people behind ProtonMail, which is an end-to-end encrypted email service founded in 2014 at the CERN research facility. Even though ProtonVPN is based in Switzerland, it’s exempted from EU’s data retention laws. What’s more, the service can’t legally comply with foreign requests that are not supported by a Swiss court order. If you know anything about Switzerland and its attitude toward privacy, you can probably already understand why ProtonVPN is one of the most trustworthy VPN services today. Signup for a free account here and follow the instructions on screen. The free version of ProtonVPN limits your speed, but at least it doesn’t limit your bandwidth. Hide.me is a robust free VPN service that encrypts your data so you can safely surf the web whether you are at home, at work, or in public. With 55 locations in 34 countries and over 160 dedicated gigabit servers, Hide.me offers excellent value at unbeatable prices. Hide.me Premium allows to enjoy unlimited bandwidth, 5 simultaneous connections, and access to 55 blazing fast locations for just $9.99. SurfEasy is a progressive VPN service that stops advertisers from following you around the web with its Ad Tracker Blocker algorithm, which intercepts the cookies that advertisers use to follow you online. SurfEasy doesn’t want your internet service provider to decide which websites you are and are not allowed to visit. You can use the service to download torrents, watch movies and TV shows on online streaming sites, play games, listen to music, and more. All popular operating systems are supported, and there are absolutely no logs to worry about. Speedify is a unique VPN service that combines Wi-Fi and cellular into one reliable, secure connection, allowing you to benefit from superior speeds, improved security, and unmatched reliability. Speedify offers several different plans to satisfy the needs of everyone from individual home users to families to enterprises and mobile operators. In 2019, you can choose from many reputable free VPN services to protect your private traffic from snooping, interference, and censorship. A free VPN service is a great choice if you’re on a tight budget or just want to experience what virtual private networks are all about. Just because you start with a free VPN service doesn’t mean that you can’t easily upgrade to a paid one at any time.